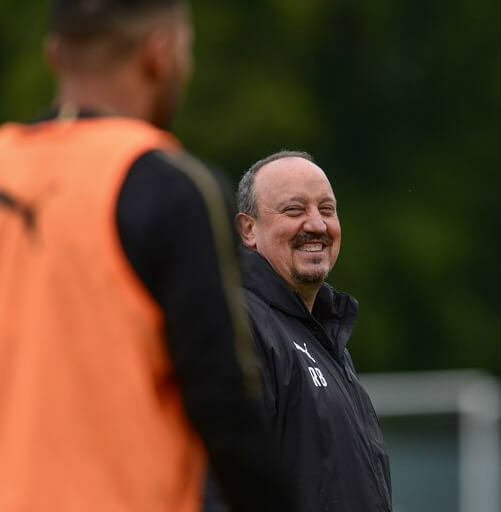 Newcastle will travel to Portugal today with two friendlies arranged – the first one is tomorrow against Porto, and then on Wednesday we take on SC Braga. It’s interesting that Chancel Mbemba has just moved this week to Porto for a reported fee of around £5M – although it’s probably unlikely he will get an outing tomorrow against Newcastle. Rafa was pleased to get Swiss center-back Fabian Schar into the club yesterday, and it seems we will be signing Mainz striker Yoshinori Muto for £9.5M very soon. FC Augsburg finished 12th in the Bundesliga last season. Then we play Spurs at home the following Saturday to kick off the season. Hopefully, we will have at least three more players in by then, and all 3 points against Spurs would be an excellent way to start the season. Your post regarding your opinion of Ashley is somewhat contradictory. You would like MA to ‘sort’ out Rafa’s long term contract, and then selling up ‘responsibly’ so giving ‘someone else ago’. However, should MA persuade Rafa to put pen to paper, what next? Rafa stays, good news. Ashley is still the owner, not good news. The IRGWO campaign is not the answer, unless you are happy to see the continuing despicable behavior of the owner of NUFC. I find it rather irksome that people somewhat patronisingly and condescendingly knock others like IRGWG for getting off their backsides and trying to orchestrate something. Absolutely fine if these knockers have an alternative answer, however, if they don’t, what are you gaining by belittling these people for their efforts? On another topic do we really need a big lump like a Rondon, Mitro type? There were times last season when we played a false 9 with Atsu often being the furthest forward and we played the most fluid, free flowing football on the deck. Ed – can’t see Mbemba getting a game as he was on crutches and in a wheelchair yesterday.